South Sudan, Africa’s newest country, is building its public health system from the ground up—from physical infrastructure to a regulatory system. The US Agency for International Development (USAID)-funded Systems for Improved Access toPharmaceuticals and Services (SIAPS) program is working with South Sudan’s Ministry of Health (MoH) to meet the tremendous challenges of creating an entirely new pharmaceutical management system for a population suffering under some of the worst health care conditions in the world. In push systems, quantities of supplies and the schedule for their delivery to facilities are determined at a higher level (usually central level with little or no input from lower levels). In pull systems, facilities provide information on actual consumption and needs estimates to higher levels. The majority of the South Sudanese population does not have access to modern health services. It has one of the highest maternal and infant mortality rates in the world and its citizens suffer from a variety of infectious and non-communicable diseases. There is little infrastructure and few trained personnel, which is compounded by weak planning and coordinating mechanisms at the state and county levels. Located in Western Equatoria State, Tambura County is poor, remote, and struggling to overcome the effects of decades of civil war. Yet, finding solutions to complex problems is not new for the people of Tambura County. When it came time to fix the broken pharmaceutical system, with the help of SIAPS, Tambura County’s health authorities took the initiative to shift away from the push supply system for pharmaceuticals to a pull system. 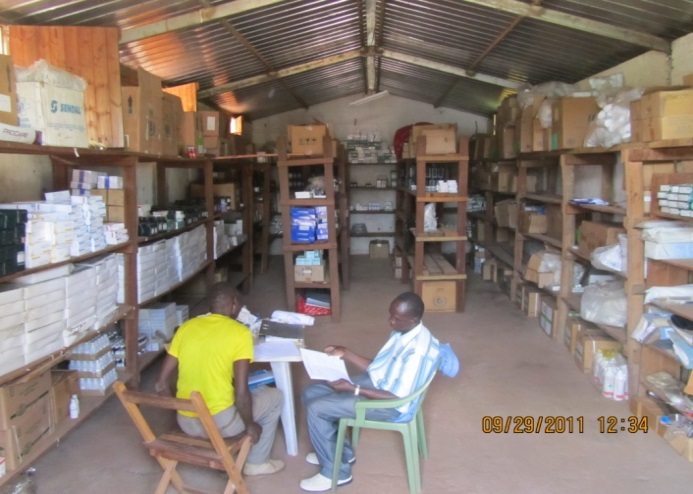 With SIAPS’s training in pharmaceutical information management tools, each county health department uses the LMIS tool to analyze the data needed to make decisions about inventory and then send the report to the Central Medical Stores in Juba. The pull system allows Tambura County health facilities to prevent accumulation, damage, and expiry of unused medicines and other medical products. This system also helps health facilities maintain a buffer stock to mitigate the effects of delays from the Central Medical Stores. Tambura County is the only county that has switched to the pull system to date. Investing in human resources is a key element in building effective and efficient pharmaceutical management systems. Tambura County’s health workers took their SIAPS-sponsored training to the next level of operationalization—building its public health system one county at a time.